We offer our customers excellent service, competitive pricing, outstanding quality, and a wide selection while being accommodating to your needs, honest, & keeping promises. David Alan Rugs maintains its highly rated reputation for its unique inventory and incomparable professionalism, which has placed it at the forefront of the decorative rug industry for the past 25 years. Paul Alan Davison trained in interior design, earning a degree from the Art Institute in Houston and then worked in the field in Houston and Austin specializing in high-end antiques and exquisite, hand-knotted rugs. 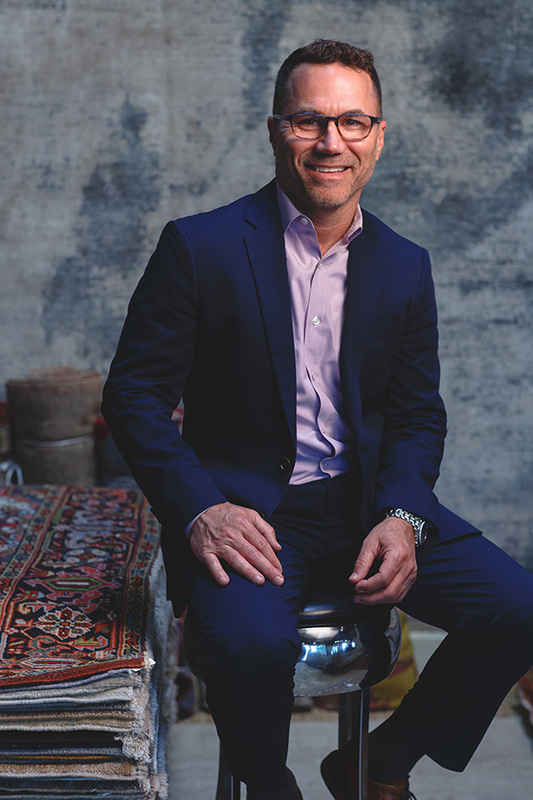 In 1994, he combined his passion for interior design and entrepreneurial spirit to launch David Alan Rugs in Austin. Paul has made it his life’s work to bring unique, sophisticated offerings from around the world and regularly searches for stunning rugs from such far-flung locations as India, Nepal and Europe as well as the far east. At his West 6thStreet location, he features contemporary, transitional and traditional hand-knotted, rugs. With Rod's seventeen years in the rug industry he has acquired a vast knowledge of the handmade rug world. He has an extensive knowledge of David Alan Rugs inventory and custom capabilities. Customer service is one of his biggest priorities. He makes sure the customer finds what they are looking for and that every customer is happy with their final selection. He enjoys working with a wide variety of clients and jobs and enjoys building relationships with them. As the newest member of David Alan Rugs Alonso brings a real sense of style and appreciation of color far beyond his age to each project he works on. With his sense of color awareness, he teaches the veterans of the company a new thing or two on each project that he works on. Both staff and clients benefit greatly from his color expertise due to the fact that the decorative rug industry is color centric. Another of his attributes is his friendly demeanor and welcoming smile.